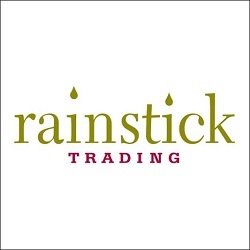 Rainstick Trading is a fair-trade supplier of multi-cultural handicrafts, bought directly from small-scale family run businesses. We specialise in instruments and decorative home-wares, each of which tells its own unique story from all over the world. When you buy from Rainstick, you are not just buying a gift, you are contributing towards sustaining livelihoods and communities. We always welcome people who would like to come and have a look around the showroom, but it would be helpful to let us know in advance, so we can make sure someone is here to assist you!